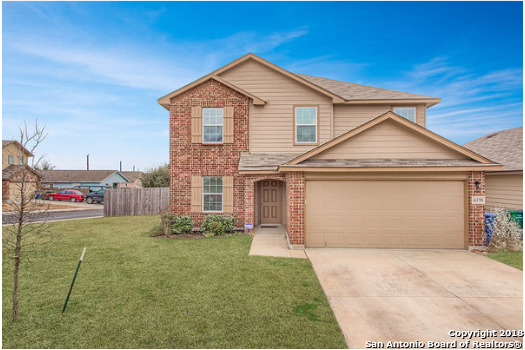 All FOSTER MEADOWS homes currently listed for sale in San Antonio as of 04/25/2019 are shown below. You can change the search criteria at any time by pressing the 'Change Search' button below. "This beautiful 2 story home features 5 bedrooms and 2.5 baths. Master bedroom is downstairs for privacy. The game room upstairs is very spacious great for entertainment. Home sits on an over sized lot and huge backyard. 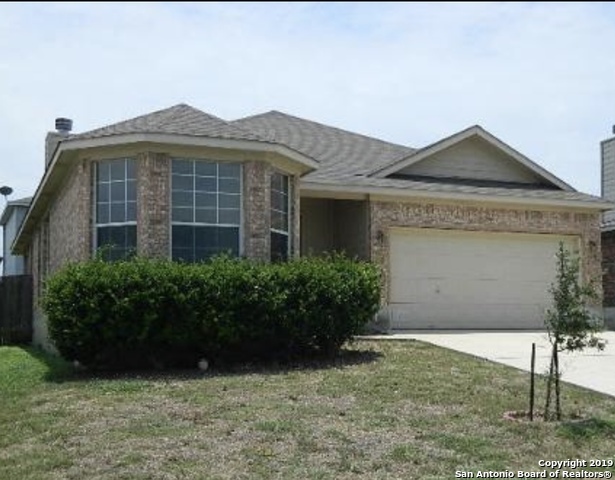 Easy access to Ih 410 and shopping!!" "New from LGI Homes: This beautiful new 2 story home features 5 bedrooms, 2.5 bathrooms, and a 2 car garage. The kitchen features beautiful wood cabinets and energy efficient appliances. New refrigerator included!" "Buyers financing fell thru!! Their loss your gain. Immaculate 5 bedroom home on large corner lot! Home features ceramic tile on the 1st floor. Upon entering notice the formal dining room on the left leading to a fabulous kitchen. Kitchen is open to the living area & boasts a great tile backsplash, black appliances, large island & breakfast bar! Master bedroom on 1st floor w/ double vanity, separate shower & garden tub. Huge gameroom located upstairs along w/ all extra bedrooms. Large yard w/ co"
"New from LGI Homes: This beautiful new 1 story home features 4 bedrooms, 2 bathrooms, and a 2 car garage. The kitchen features beautiful wood cabinets and energy efficient appliances. New refrigerator included!" "New Construction home with 3 bedrooms, 2 full baths, 2 car garage. Located in a peaceful and established neighborhood. Master suite separte *Double Vanity* Extended tiled shower*Walk in closet*-Kitchen will include* Dishwasher*Disposal*Microwave oven* Tile in entry way and baths, linoleum in dining, kitchen and living area, carpet in all bedrooms. *Privacy fence*Extended porch slab*Utility inside *All appliances are electric. Beautiful rock front with two car garage." "New from LGI Homes: This beautiful new 1 story home features 3 bedrooms, 2 bathrooms, and a 2 car garage. The kitchen features beautiful wood cabinets and energy efficient appliances. New refrigerator included!" 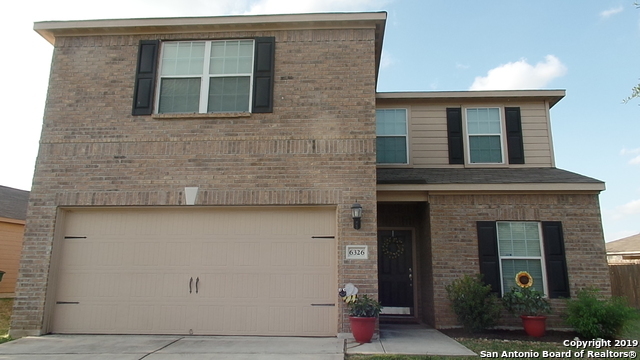 "Solar Panels**4 Side Brick priced to move 3/2 in Foster Meadows wood tile floors through out . Nice front porch,fireplace in living room 2 eating areas. Master has large walk in closet separate tub and shower. Kitchen offer plenty of counter space and an ample sized breakfast area covered patio good size back yard. Schedule your appointment today." "New from LGI Homes: This beautiful new 2 story home features 3 bedrooms, 2.5 bathrooms, and a 1 car garage. The kitchen features beautiful wood cabinets and energy efficient appliances. New refrigerator included!" "Builder was Casa Linda, built this home in 2007. Three bedrooms upstairs with game room, and 2-1/2 bathrooms. Open kitchen, with dining living room combo. Bring your creative side to this large 2,338 sq ft canvas and personalize this home, just for you. Solid home all around with a two year roof. BCAD has the home at $188,000. Let's make a deal and make this your home." "This property may qualify for Seller Financing (Vendee). Contemporary doll house! Open concept on main level with distressed laminate floor throughout common and wet areas. All bedrooms up, inside laundry, one car garage and a great yard space at back feels very private!"